How To Use The Magnetic Lasso Tool In Adobe Photoshop. 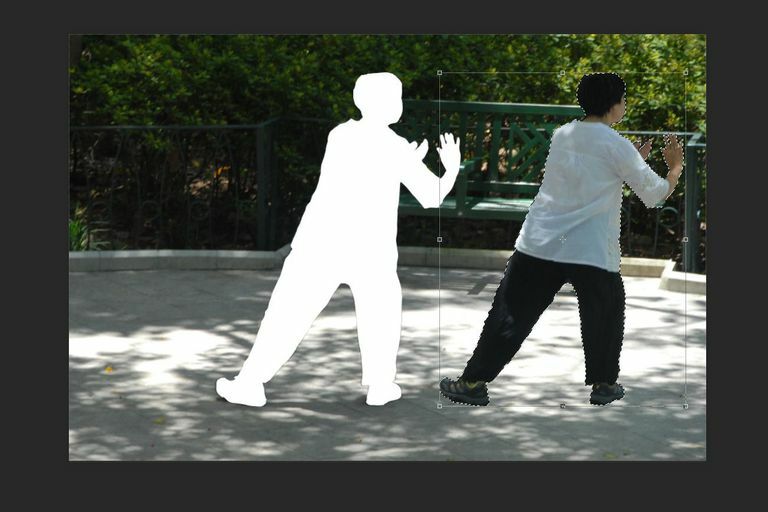 The Magnetic Lasso tool in Photoshop is one of those tools regularly overlooked in the process of making a selection. However, that is a mistake because you can use it to do wonderful things once you understand how it works. In very simple terms, this tool makes selections based on edges. This means you can get a pretty accurate – 80 to 90% accuracy – selection. This means the tool selects the edges of the object as you move the mouse by finding the changes in brightness and color values between the object and its background. As it finds those edges it lays down an outline to the edge and, like a magnet, snaps to it. Thus the tool’s name. So how does it do it? Adobe would tell you it is good old “Adobe Magic”. That isn’t the case. There is a limit to the area where the tool finds the edges. What is that limit? No one is quite sure and Adobe isn’t telling. You have to use the tool’s “hot spot” which is the little piece of rope dangling from the bottom of the cursor’s icon. We are not huge fans of this, so we usually press the Caps Lock to change to a precision cursor which is a circle with a +-sign in the middle. That circle tells us anything in that circle is looked at and everything outside of it is ignored. Where does one regularly use the Magnetic Lasso tool? If the selection you want to make has edges that strongly contrast with the pixels around it, do your sanity and productivity a favor and pick the Magnetic Lasso. There are a couple of ways of getting at the tool. The first is to select it from the Lasso Tool fly out. It is at the bottom. Alternatively, you can use the keyboard command – Shift-L – to cycle through the three tools. Feather: The value is the distance the vignette or blurred edge of the selection will extend from the edge of the selection. This is how one softens the edge of a selection. If you are new to this try and keep the value between 0 and 5. Width: This is the width of the circle when the Caps Lock key is pressed. You can make it larger or smaller by pressing the [ or ] keys. Keep in mind this is not a brush. All you are doing is enlarging the edge detection area. Contrast: The width of the circle determines where Photoshop finds edges. This setting determines how much of a difference there needs to be in the color and contrast values between the object and its background. If you look at the above image, you will notice there is not much contrast between the subject’s head and the background. In this case, we used a smaller circle and lower contrast value. To change the contrast value on the fly press the . (period) key to increase the contrast and the , (comma) key to decrease the contrast. Frequency: As you drag along the edges the Lasso will drop anchor points. This value determines the distance between them. Once you have determined your options find an edge to drag along and make your selection. Add an Anchor Point: Click the mouse. Remove an Anchor Point: Press the Delete or Backspace key. Switch Between Lasso Tools: Press the Option/Alt key and click on the edge. If you continue to drag you will automatically switch. If you release the mouse after clicking on the edge, you will switch to the Polygon Lasso tool. Releasing the Option/Alt key after switching tools returns back to the Magnetic Lasso. Subtracting Areas: You have selected the edge of a doughnut but you need to remove the doughnut hole from the selection. You have a couple of choices around accomplishing this task. The first is to hold down the Option/Alt key and drag around the hole. This switches to the Subtract from Selection mode. You will know you are in this mode when a minus sign (-) appears in the cursor. The second method is to select the Mode in the Tool Options and then click the mouse around the edge of the area to be deleted. Be sure to close the selection. Adding to Selections: Switch to the Add to Selection mode by clicking it in the Options toolbar. Click around the edge to be added and be sure to close the selection.